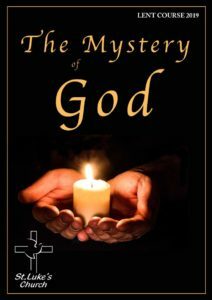 In 2019, our Lent course delves more deeply into the mystery of God, seeking to rediscover what it is that draws us so deeply in our search for God. We will follow Jesus through the Lenten readings, allowing him to draw us, in love and wonder, into the mystery of God’s plan of salvation. Click on the below buttons to hear the sermon recording for that week.